What is the most sophisticated machine that has ever crossed the timeline of existence on the earth? A machine that has always captivated scientists and engineers for perfection but has deluded them of the masterpiece, so much so that even in this century of science and technology at its zenith they are not able to replicate it in its entirety. Well no more curiosity to behold, it is the human body that is often termed as the masterpiece, while a Humanoid is the human attempt to achieve an analogous to this human body. For a more technical definition, a humanoid (human and oid means resembling) or a humanoid robot is defined as a re-programmable, multi-functional manipulator, resembling a human being, with a degree of autonomy that is capable of sensing its environment and reacting to the environment based on an independent decision-making capability. 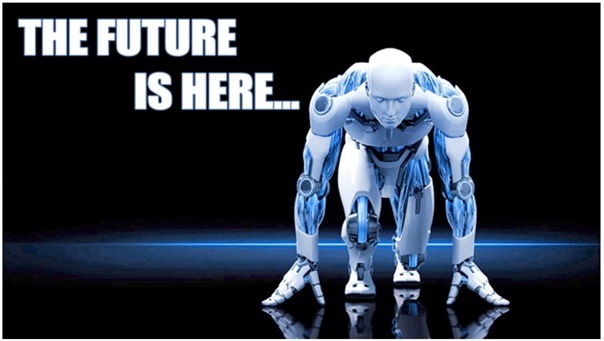 The humanoid has the appearance and behavior of a human being and has a utility-edge over the former when it comes to performing tasks at high speed and accuracy, for work involving technical complexities or sophisticated work-environment. The attempt to create a human-analogue is not something new and the process has been into existence way before AD. The first ever description of the human-resembling machine comes in the Lie Zi text of ancient China in the year of 250 B.C., that credits Yan Shi as its inventor. A research work recently conducted to find the earliest forms of human-alike robot brings into light the work done by Al-Jazari and Leonardo da Vinci, the prolific inventors of their time. However, what started as a recreational “toy” famously known as automaton for the showbiz went through a 360 degree perceptional make over when many utility dimensions of the machine garnered attention from the intelligentsia. One such pioneer to the world of humanoid was the Wabot-1 developed by the Waseda University, in Tokyo in the year 1972. Taking this stride ahead, an MIT Leg Laboratory was established in the year 1980 dedicated for studying and building dynamic legged robots (bipedal). One of the most successive humanoids, created by the Honda Motor Company, was the E-series (E0 to E6) between 1987 and 1994 that later evolved into the P-series model. 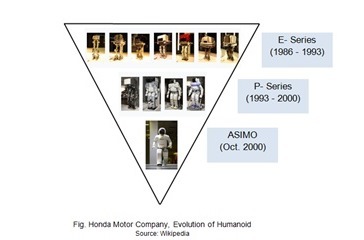 These paved ways to create Honda’s advanced humanoid robot: ASIMO (an acronym for Advanced Step in Innovative Mobility) on October 21, 2000, that was inducted into the Robot Hall of Fame in Pittsburgh in 2004 as the first humanoid droid able to walk dynamically. There was no looking back from there onwards and the years that followed saw many ventures, collaborations between universities and business entities to create a large platform for humanoid robot creation and exploration. As the data depicts, the epicenter of innovation in the field of humanoid lies largely in China and Japan that hold the maximum number of patents filed in the field of humanoids. Taking the next big-question towards advancement in the humanoid robot is the so-much talked concept of Artificial Intelligence. Many tech-giants, like Google Inc., Boston Dynamics, Kawada Robotics, Meka Robotics, AvatarMind etc., are mooting this concept and thanks to many sci-fi fantasy movies efforts are being made to make a tangible transition from the abstract phase to something that can fulfill the patentability criteria (35 U.S.C. 101, 102, 103). REEM, a humanoid service robot; Robot Auriga, the first brain-controlled robot; Oceanone, an underwater humanoid; NASA’s Valkyrie that is to be sent to Mars are a few of this generation’s working models that have raised the bar in terms of utility of humanoids in numerous fields as medicine, under water or space explorations, remote operations, defense etc. Taking clues from the recent activity in the intellectual world, we may not be confident enough to replicate an artificial human being, but in the years to come, no gamble, we will in all possible sense be able to create a “Man with no defects”.